Hazardous waste operations and emergency response (HAZWOPER) is a health and safety standard to ensure the safety of workers performing hazardous waste cleanup or response actions. It outlines the safety requirements and training criteria that are necessary to protect employees when dealing with hazardous waste in certain capacities. The specifics of each job determines the policies and procedures that must be followed under HAZWOPER and other related standards. Who is covered by the HAZWOPER standard? When considering how HAZWOPER relates to your workplace, you need to remember that sometimes this standard is not necessary. 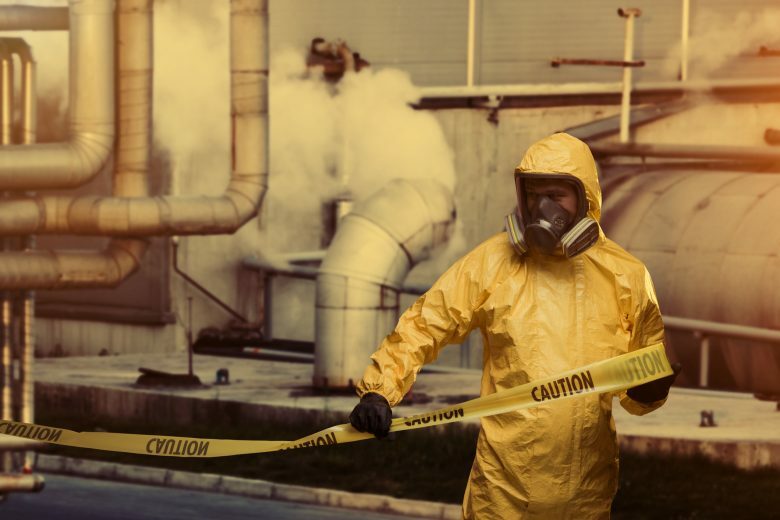 Some companies employing workers in jobs with hazardous materials contact potential will automatically assign HAZWOPER training to these employees. However, workers whose duties are on controlled hazardous waste sites, in laboratories, chemical manufacturing plants and many others, do not necessarily need HAZWOPER training. Often, these workers require hazard communication standard (HAZCOM) training. But unfortunately, there are situations when HAZCOM is not applied, or is applied poorly, and HAZWOPER is brought in “just in case”. If employees work in an uncontrolled hazardous waste site role, or supervise someone who does, then HAZWOPER applies. Otherwise, study your situation well and confirm if one or both standards apply to your workplace. There is a difference between incidental spill of hazardous substances and an emergency spill. If the spill doesn’t pose a significant health hazard or a safety hazard to the employees cleaning it up and it doesn’t have a potential to turn into an emergency, then it’s an incidental release. Such situations can be safely dealt with by trained employees who are familiar with the substances they handle. The difference between an incidental spill and an emergency spill is also facility-specific. Pre-established procedures, employee training, their response and the PPE available all contribute to this difference. In general, however, it could be stated that incidental releases are limited in quantity, toxicity and exposure potential. Response to incidental releases is not governed by the HAZWOPER standard. HAZWOPER training is not designed to teach specific technical response activities. Instead, it concentrates on policies and procedures that protect workers while they perform these activities. For example, it’s not about how to plug a chemical leak but how to remain safe while doing it. OSHA recognizes several levels of HAZWOPER training, each with specific topics and minimum training time. The levels of training are based on the work performed by the employee and the degree of hazard. But the initial training consists of a 24-hour or a 40-hour course. In addition, an eight-hour refresher course is required every year. general site workers are required to complete 40 hours of instruction and three days of supervised hands-on training. The training needs to be relevant to the worker’s situation because sometimes training levels overlap and it’s important to confirm which level of training is appropriate. According to OSHA, computer-based training is not enough to cover the requirements of the initial HAZWOPER course. Watching a video of people putting on PPE or using a respirator is never equal to learning these things in person. This is why OSHA doesn’t approve of this training method. But e-learning may meet some refresher training requirements if it includes an opportunity to ask a qualified trainer questions. It should also include an assessment of hands-on work tasks performance. It may also make sense to pair HAZWOPER training with human factors training. Emergency situations can sometimes cause people to panic or rush. Human factors safety training will teach employees to recognize and deal with states of mind that can affect their actions and jeopardize their safety.